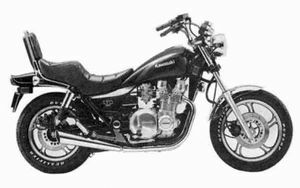 The Kawasaki ZN1100B is a motorcycle produced by Kawasaki from 1984 to 1985. 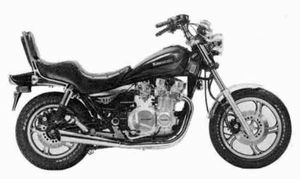 Remarks: Basically same as Z(KZ)1100-D except seat, wheels, front fork, rear shock absorbers. This page was last edited on 26 August 2010, at 18:34.